Over the past 150 years, the countries (for most of this period they were colonies!) in the southern Africa region have been more closely interconnected than was the case in any other region in Africa. This is particularly so in the political and economic arenas. The economies of region have been more closely inter-related than elsewhere in Africa. Why is this the case? You will remember from discussions in Module 7B: History of Africa Since 1500 and Module Nine: African Economies that European colonial powers were not interested in investing money in the development of the economic infrastructure in their colonies. Nor were they interested helping their colonies to grow into strong diversified economies. Instead, the colonial powers were interested in exploiting the natural resources of each colony, whether these resources were agricultural (cotton, tobacco, peanuts, etc.) or mineral (copper, gold, diamonds, etc.). As result of this economic policy, African economies developed around the production or mining of one resource that was then exported to the colonial power in Europe. Under these restrictions, it was difficult if not impossible for the colonies to develop diversified balanced economies. The situation in southern Africa was somewhat different. 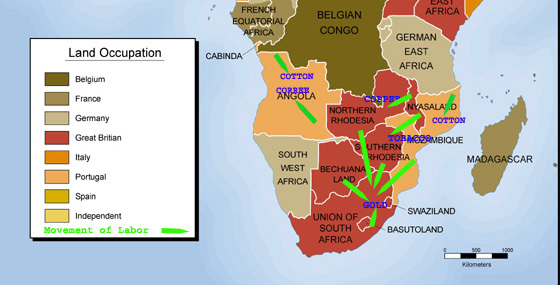 Because of their rich agricultural and mineral resources, the colonies of Angola, Northern Rhodesia, Southern Rhodesia, and South West Africa attracted significant numbers of European settlers or migrants who came to see these colonies as their “home.” As we learned in the first activity in this module, the European settler communities struggled to establish political systems that protected their monopoly of political power at the expense of the indigenous African populations that greatly out-numbered the settler populations in these colonies. Unlike the British, Belgian, and French in the colonies in other regions of Africa, the settlers very much wanted to develop diversified and strong economies in the colonies that they dominated. In each of the settler colonies of the southern Africa region, the European immigrants attempted to develop a strong diversified economy that was based on effective use of local natural resources. To realize this goal, two things were essential–European settler control of all important national resources, most importantly the good agricultural land, and an abundant supply of inexpensive labor. Land was secured through the establishment of land ownership laws that took away good agricultural land from the local African populations, and reserved the good land for exclusive European ownership. The settlers obtained some of the labor necessary to work on their farms and in their mines and factories from local African peoples. In Activity Five and Activity Six of Module Nine, we described the tax and labor policies that forced many African men to leave their homes to work on European owned farms, in mines, and urban businesses. In many African colonies, the labor needs were met locally within the colony. However, in larger economies in southern Africa, the domestic supply of labor was often not sufficient to meet the much larger labor needs of the gold mines in South Africa, the copper mines of Northern Rhodesia, and of the large tobacco farms of Southern Rhodesia. To meet the labor needs of these larger economies, the governments of these countries were forced to recruit labor from neighboring colonies. Labor migration between countries is never an easy matter. You may be aware of the current debate in the U.S. over migrant labor from neighboring countries. There were similar difficulties in the southern Africa region a hundred years ago. Consequently, the recruitment, movement, and payment of workers from neighboring countries necessitated cooperation between the colonial governments of both the “sending” and “receiving” countries. This early collaboration established long lasting traditions of economic collaboration within the southern Africa region that was not present in the other regions of Africa. Take a look at Map Twenty One. What countries received a significant amount of migrant labor from neighboring countries? Which countries supplied migrant labor? Look at South Africa on this map, you will notice that South Africa received migrant laborers from a number of neighboring countries including Bechuanaland (Botswana), Basutholand (Lesotho), Swaziland, Mozambique, and Southern Rhodesia (Zimbabwe). Without these workers from neighboring countries, the South African economy would not have been able to develop into the strongest economy in all of Africa. Another factor that helped facilitate the economic interconnection of the southern Africa region was the growth of a relatively developed transportation network, which linked the countries of the region. This was particularly true of the railroad network. Take a look at Maps Twenty Two and Twenty Three that show the railroad networks in both southern Africa and the rest of Africa. What differences do you see in the two maps? The first thing that you might note is that the rail system in the southern Africa region is far more complex and developed than it is anywhere else in Africa. In other regions of Africa, the rail lines often connect one place in the interior of the country (usually an area of an important natural resource) and a port city. These railway systems were clearly used to help move natural resources to a seaport for export to Europe—and sometimes North America. To refresh your memory of transportation systems in Africa, please briefly revisit Module Nine, Activity Five: African Economies. The rail system in southern Africa is much more developed, and in addition to taking exports from the interior to seaports, this rail system assisted the movement of important consumer goods—particularly food and manufactured goods—within the region. The rail system allowed the land-locked countries in the interior of the region, such as Nyasaland (Malawi), Northern Rhodesia (Zambia), and Southern Rhodesia (Zimbabwe) to export natural resources and import consumer goods that they were unable to produce. In addition to these economic reasons for close cooperation between the colonies in the southern African region, there were political incentives for collaboration between these colonies. Minority settler populations had strong influence in the colonies of Angola, Mozambique, Northern Rhodesia, Southern Rhodesia, South West Africa, and South Africa. In each colony, the small European population attempted to establish political systems that would protect their control of the government and the economy. Although the settlers in these colonies came from quite different traditions in Europe and lived in colonies that were supposedly under the control of different European powers, they realized that the long term survival of settler dominated colonies in southern Africa would be more likely if the settler governments in one country supported the settlers in other colonies. The mutual support that the white settlers in the region provided each other established the foundation for close cooperation which remained after each of the countries in the region gained their political independence. Interestingly, just as settlers from the various colonies supported each other, so too African nationalist parties and liberation organizations, which were discussed in the first section of this module, supported each other in their struggle for independence. For example, FRELIMO, the liberation movement in Mozambique, provided strong support for ZANU, the leading liberation group in neighboring Zimbabwe. Similarly, the FNLA in Angola provided valuable assistance to SWAPO forces in next-door Namibia. Indeed, as the countries of the region gradually became independent, starting with Zambia in 1964, the newly independent governments believed that it was their responsibility to give as much support as they could to liberation groups fighting for their independence in neighboring states. So important was this mission that once Angola and Mozambique won their independence in 1975, they joined Zambia, Botswana and Tanzania to form a political coalition known as the Front Line States. They selected this name because they formed the front line between the independent states of Africa and the colonies still under the control of European settlers within the southern Africa region. The Front Line States provided invaluable assistance for the liberation struggle in neighboring states through direct material assistance and by providing bases for the armies of the liberation movements. Each time one of the nations of the region won their independence, they joined the Front Line States and lent their support for remaining liberation struggles. The prolonged struggle for political independence in the southern Africa region resulted in close working relationships between the leadership of these newly independent countries, which in turn provided the basis for the development of regional institutions of collaboration in the political, economic, and social arenas. Economic and political connections that were established in the colonial era formed the foundation for cooperation between the nations of the southern Africa region after they achieved their independence. 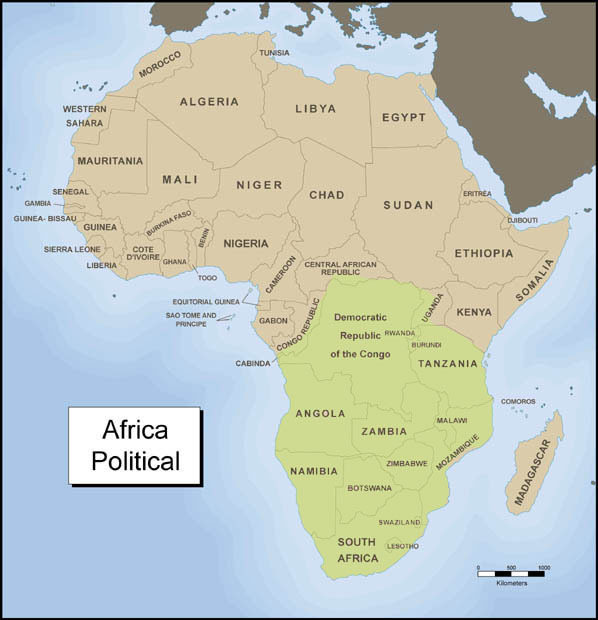 In Module Ten, Activity Six: African Politics and Government, you learned about the Pan African Movement, a political movement popular in most of Africa that promoted the ideal of a united Africa, an Africa not separated by boundaries that were arbitrarily established by European colonial powers. You will remember that the first generation of presidents of independent African nations formed the Organization of African Unity (O.A.U.) in 1963 as what they hoped would be the first step towards the formation of a United States of Africa. Unfortunately, while the O.A.U. can claim some successes, it was not able to move Africa in the direction of political or economic unity. However, there have been some modest successes in Africa in moving towards economic and political integration at the regional level. 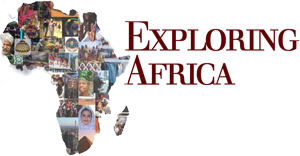 One of the most successful regional organizations in Africa is the Southern African Development Community (SADC) with a membership of 14 states. (See Map Twenty Four). 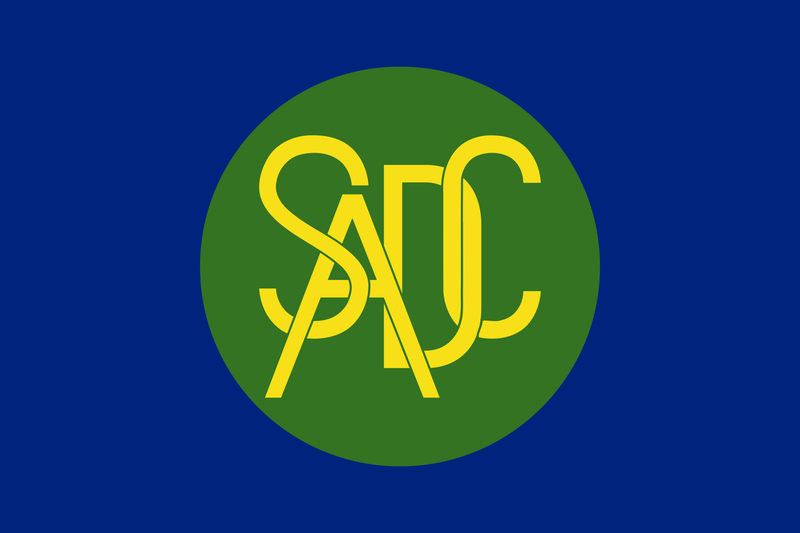 SADC logo SADC, formed in August, 1992, was an outgrowth of a earlier regional organization the Southern Africa Development Coordinating Committee (SADCC), which was formed at a meeting in Lusaka, Zambia in 1980. SADCC set forth the objective of the organization in a document titled, “Southern Africa: Towards Economic Liberation.” The title of this document clearly sets the agenda of SADCC—economic liberation. What does this mean? The nine countries that formed SADCC (Angola, Botswana, Lesotho, Malawi, Mozambique, Swaziland, Tanzania, Zambia and Zimbabwe) were with the exception of Tanzania part of the southern African regional economic network that had united the settler colonies in the region. Gradually, beginning with Malawi and Zambia in 1964, these countries gained their political independence. By 1980 when Zimbabwe won its freedom, all of the settler colonies in southern Africa, except for Namibia and South Africa, had gained their political independence. SADCC was successful in helping the member countries work more closely together in these sectors that are essential to economic development and liberation. However by the early 1990s, the SADCC member states believed that it was important to move towards closer integration of their economies. Moreover, by this time it seemed that the horrible Apartheid era in South Africa may have been near its end. The independence of South Africa would provide the conditions for economic integration of the entire region. However, as excited as the SADCC Front Line countries were with the pending independence of South Africa, they also had concerns. After all, the economy of South Africa was nearly as large as the economies of all of SADCC countries combined. Happy as they were for freedom of South Africa, this joy was balanced with a concern that the South African economy and its interests might dominate the regional economy. To protect their own interests, the SADCC countries decided that they would create a framework for regional economic integration before an independent South Africa would join the group. 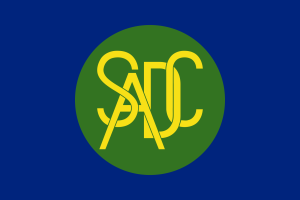 Meeting in Windhoek, Namibia in 1992 the then ten members of SADCC dissolved the organization and replaced it with a new regional economic organization theSouthern African Development Community (SADC). Whereas SADCC’s purpose was to promote economic liberation in the region through greater cooperation, SADC’s focus was to promote economic development through the gradual but steady integration of the region’s economy. The long-term goal of SADC is the development within southern Africa of an economic union similar to the European Union. Since its beginning in 1992, SADC has grown from ten to fourteen members. In addition to South Africa, the Indian island states of Mauritius and the Seychelles have become members of SADC, as has the Democratic Republic of the Congo (former Zaire). Take a look at Map Twenty-Four that shows the 14 countries belonging to SADC. Compare this Map Three: Southern Africa Region in activity one. There is a real difference between these maps. The Congo and Tanzania are not included in the region we have defined as the southern Africa region. 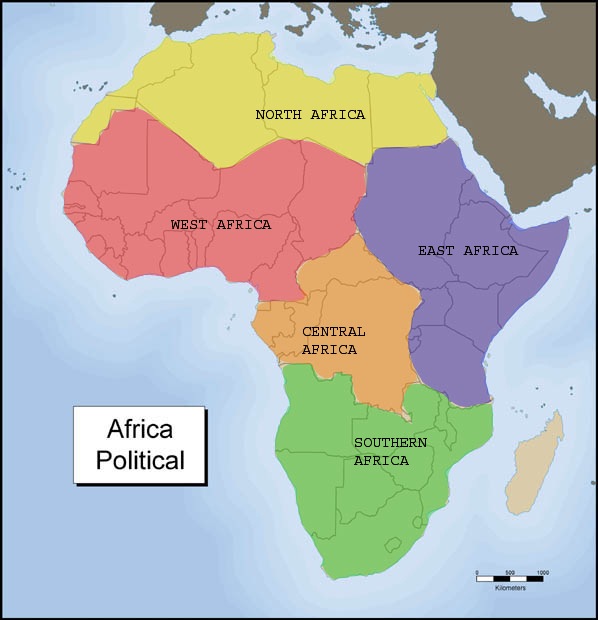 According to the way we have divided Africa into regions [see Map Two: Regions of Africa], Congo is in Central Africa and Tanzania is in Eastern Africa. Why then are they part of the Southern Africa Development Community? In the case of the Congo, there is a strong economic rationale for including the eastern mineral rich and industrial region of the Congo in the southern Africa region. From the beginning of the copper industry in the Congo in the early 20th century, this area was more closely linked to the south than it was to the west and the rest of the Congo. Take a look at Map Twenty Two that shows the rail network in Southern Africa. The copper produced in the Katanga (now Shaba) region of the Congo was exported on railroads through South Africa and Angola. 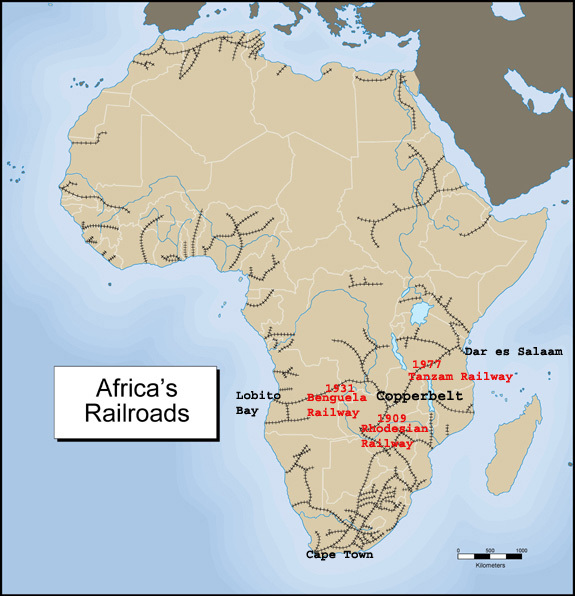 The same railroad from the south carried Zimbabwean coal to fuel the copper smelters and food from southern African farms to feed the growing urban mining centers Katanga. Based on the historical connections, it is not surprising that the Congo applied for and was accepted as a member of SADC. But, what about Tanzania? During the colonial era, Tanganyika (as it was then called) was economically, politically and culturally aligned with the eastern region of Africa as is detailed in Module Nineteen: East Africa. Yet, Tanzania was a founding member of the Front Line States, SADCC and SADC! The answer to this geo-political riddle is found in the central role that Tanzania played in the 1960s and 1970s supporting the liberation movements in southern Africa. To learn more about this connection, click here. 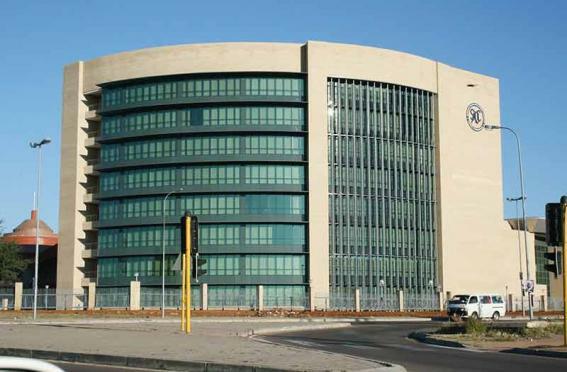 The Southern African Development Community, headquartered in Gaborone, Botswana, is just over 10 years old. While SADC has faced many difficulties, it has moved gradually towards realizing its ultimate goal of economic integration. In the area of economic, political, and social collaboration, SADC is well ahead of other regional organizations in Africa. Please complete the following exercises. 1. Your teacher will provide you with a copy of Table Three: SADC countries. Fill in the missing information for each country. You can find this information by going to the Country Overviews. 2. Take a look at the list of SADCC countries that were chosen to lead various sectors. From what you know about each country (based on the information you collected to complete question one as well as from information provided in this module), give a reason why you think each country was selected to head the sector it did. For example, given what we have learned about the importance of copper mining in Zambia, it seems logical that Zambia was selected to lead SADCC’s mining sector. Write your answers on a piece of paper, and discuss them with your teacher. 3. Visit the official web-site of SADC at http://www.sadc.int. Make a list of the primary objectives of SADC. Based on what you have learned in this module, indicate what difficulties you think SADC may face in realizing each objective. This is the last activity of this module. Return to the curriculum, go on to Module Twenty-One, or select one of the other activities in this module.